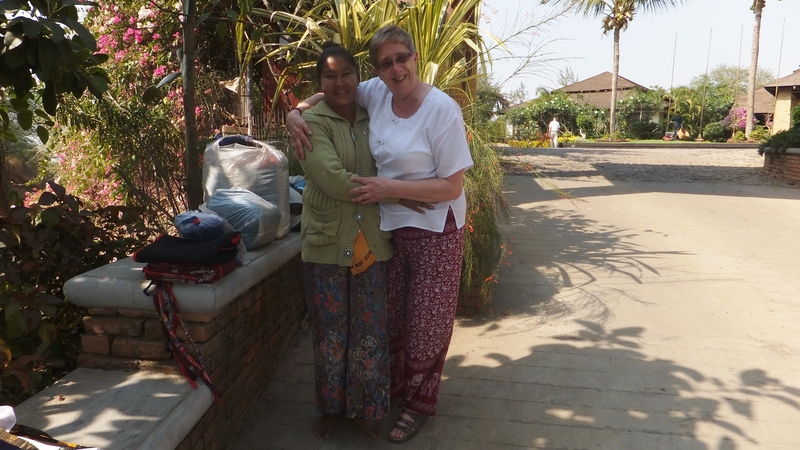 It has been three months, since I returned from my trip to Burma. Now called Myanmar, I still call it Burma, as that was what it was back in the day! I had chosen this particular tour as it would allow me to see the country before the developers took over and it became just like many of the other Southeast Asian countries. Burma has been closed to world for much of the last half century. On March 2, 1962, the military took control of the country through a coup d ètat and the government has been under either direct or indirect control ever since. Between 1962 and 1974, Burma was ruled by a revolutionary council headed by the General Ne Win. A new constitution was adopted in 1974, but until 1988 it was a one party system. 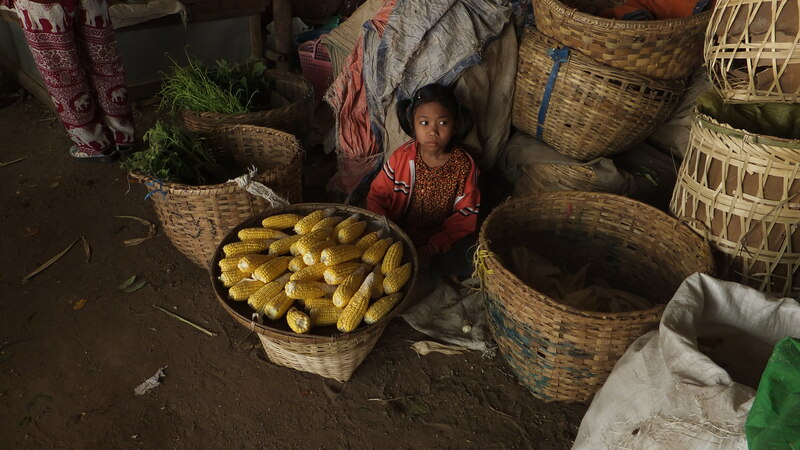 It was during this period that Burma became one of the most impoverished countries in the world. In 1988, there were widespread Pro-Democracy Demonstrations against the government for economic mismanagement and political oppression. Thousands were killed including many students, others though, were fortunate enough to escape into neighbouring Thailand. Alice, a Nursing Professor at the University of Alberta was one of these people and I spoke with her both prior to and after my trip. Another coup d ètat resulted in the formation of the State Law and Order Restoration Council. SLORC declared martial law and changed the country’s official name to Myanmar. May 1990 saw free elections for the first time in 30 years and the National League for Democracy, Aung San Suu Kyi’s party, won 392 out of 489 seats. The junta refused to cede power and continued to rule. Aung San was put under house arrest. 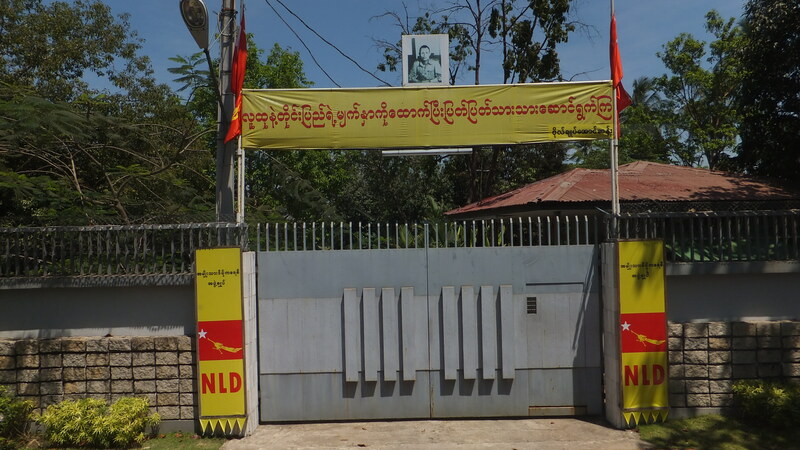 In August 2007, an increase in the price of diesel and petrol led to a series of anti-government protests, called the Saffron Revolution, which was led by Buddhist Monks, hundreds of whom defied the house arrest of Aung San Suu Kyi to pay their respects at the gate of her house. The government finally cracked down on them on 26 September 2007. The crackdown was harsh, with reports of barricades at the Shwedagon Pagoda in Yangon and monks killed. A General Election to be held in 2015 to determine where the country will go. 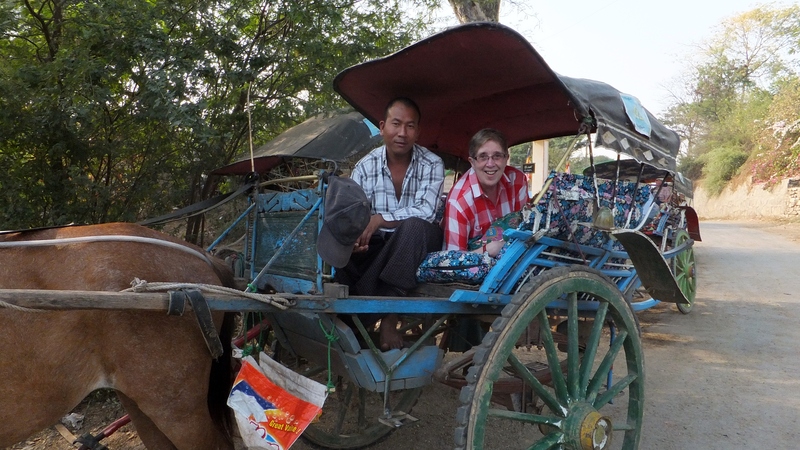 Burma is a land of unbelievable sights and warm, gentle people. 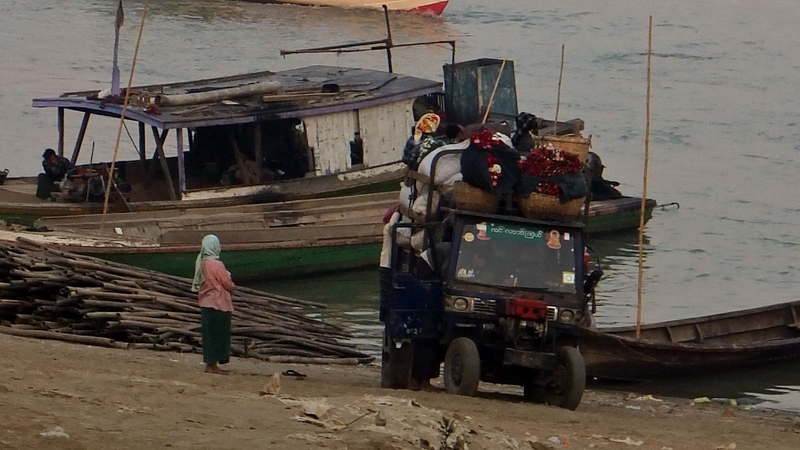 My favorite stop on the tour was in Bagan, about one hour north of Yangon (Rangoon) by air. We landed at the airport one hot morning about 8:ooAM and boarded our Big Blue Bus. It was taking us to the Bagan Archaelogical Zone, about which I knew nothing. I didn’t anticipate the MAGICAL KINGDOM I was about to experience and how it would grab my heart. We got off our bus on the dry dusty plain and walked about a half mile to a temple from which we could get an overview of the area. 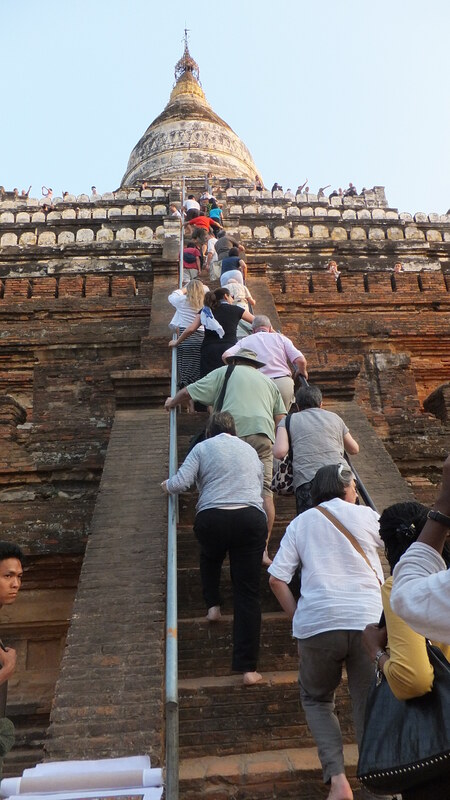 Climbing up some narrow stairs, we emerged onto the platform and it is impossible to describe the sight before me……..a vast expanse of Temples and Stupas as far as the eye could see. I was mesmerized!!!! I felt as if I had been deposited in another world….and I guess I had. 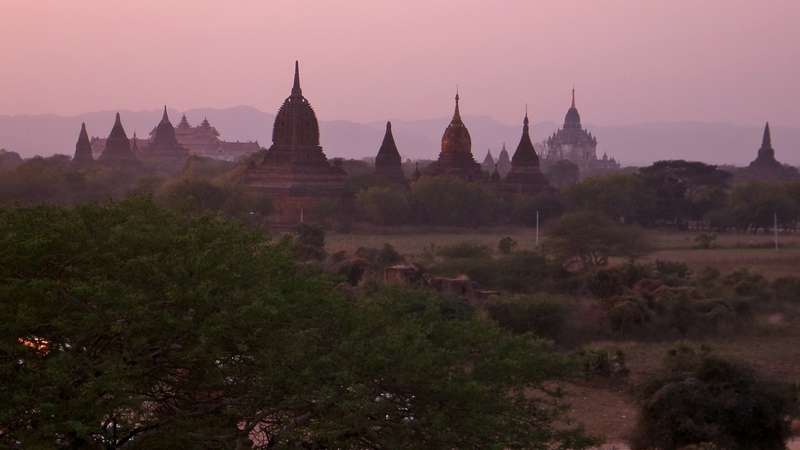 The ruins of Medieval Bagan are scattered over 26 Square miles. This ancient capital was once inhabited by 100,000 plus people. 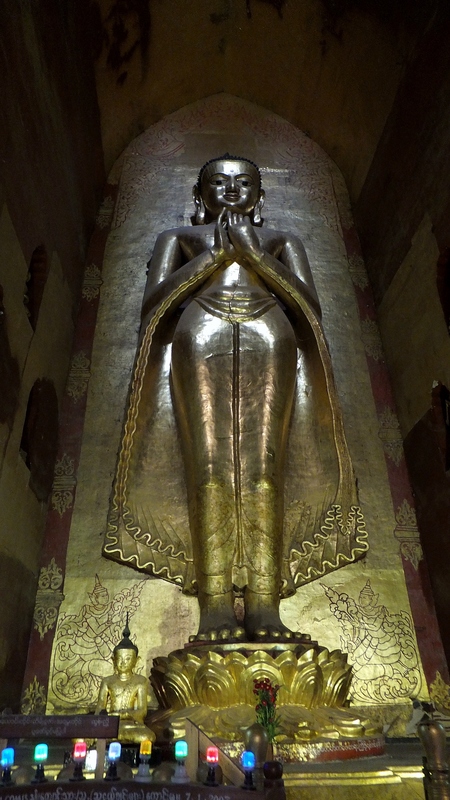 It flourished between Anawratha’s conquest of Thaton and its destruction by Kublai Khan in 1287. We visited so many temples on the tour, I got to the point I couldn’t remember one from another. They were all unique and beautiful in their own way. I especially liked the ones constructed with red brick and which had arches of all types. Think I have 1000 pictures of arches!!! 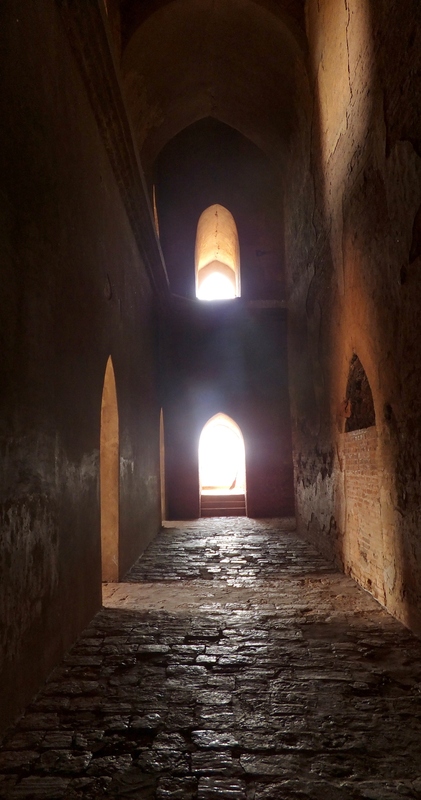 Maybe I was a monk in another life and I walked these very corridors during meditation time. 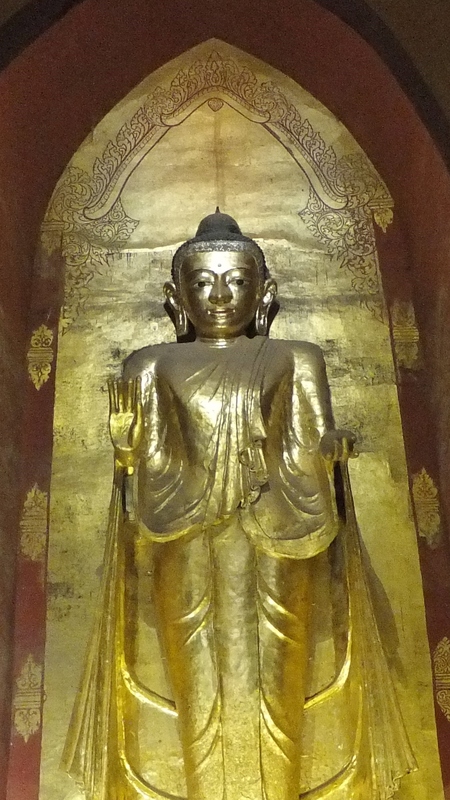 The Dhammayazika Pagoda was built in 1196 during the reign of King Narapatisthu. The pagoda is circular in design, and is made of brick. The King ruled that the bricks were to be so close fitting that a pin couldn’t pass between them. Woe betide the worker who failed in his task. 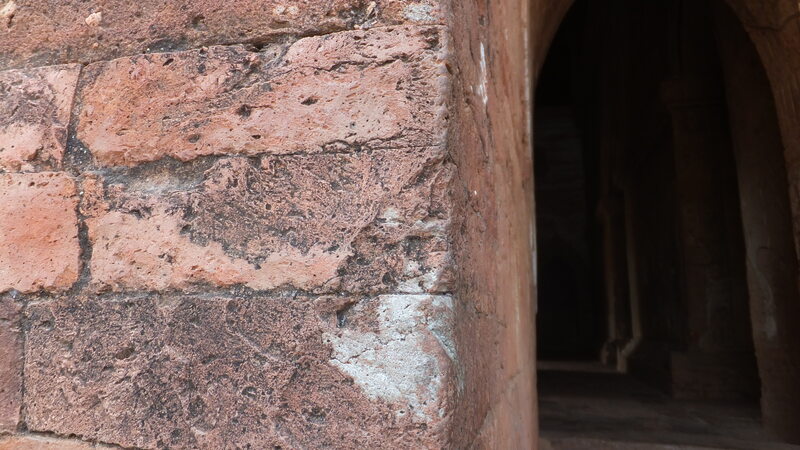 Considering this structure is nearly 1000 years old, it is amazing what good shape it is in, given that this area is subject to such devastating monsoon rains that wash everything away each summer. It was wonderful to be able to explore these ancient structures and be the only tourists present. The Ananda Phaya Temple, a masterpiece of surviving Mon architecture (1091), is built in the shape of a Greek Cross. It was severely damaged in the 1975 earthquake and restoration is still ongoing. There is much international concern that the Myanmar Government, in an effort to get temples restored, are doing it quickly and with unskilled workers. These projects are time consuming and require a great deal of money which the country does not have. 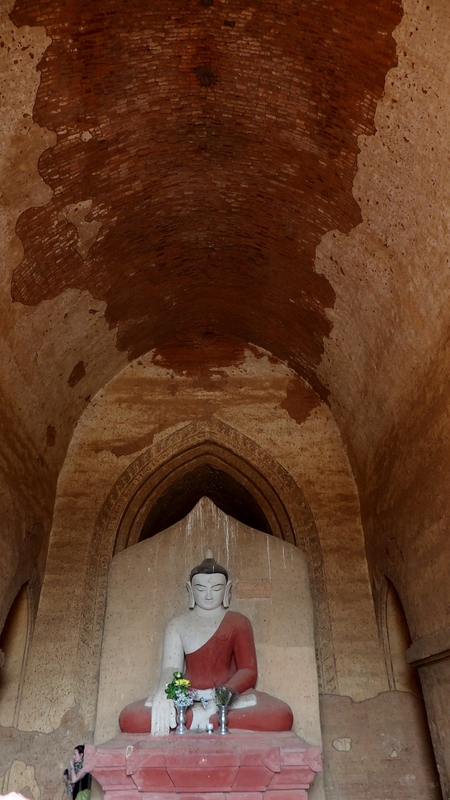 The UN has refused to giver Bagan World Heritage Status. 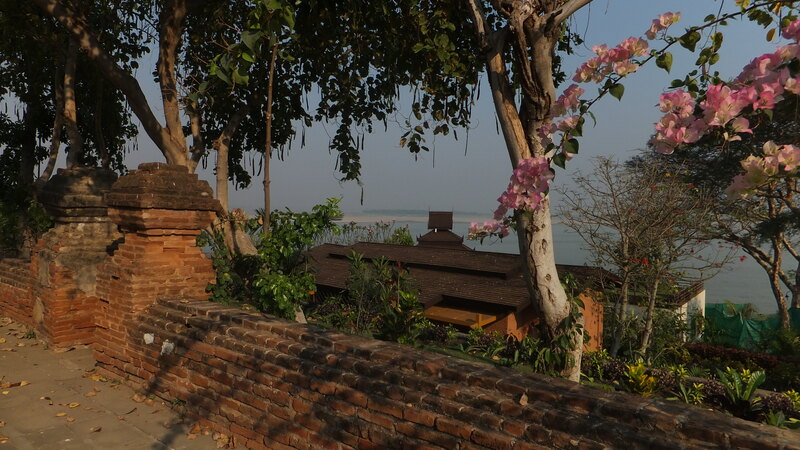 Our accommodation was at a resort along the Ayeyarwaddy River. It had a large garden area, a beautiful pool and an outdoor dining room. Too bad we didn’t have much time to enjoy it……we were always on the go! I could imagine myself staying here for a month or so, just to be able to fully explore the area. 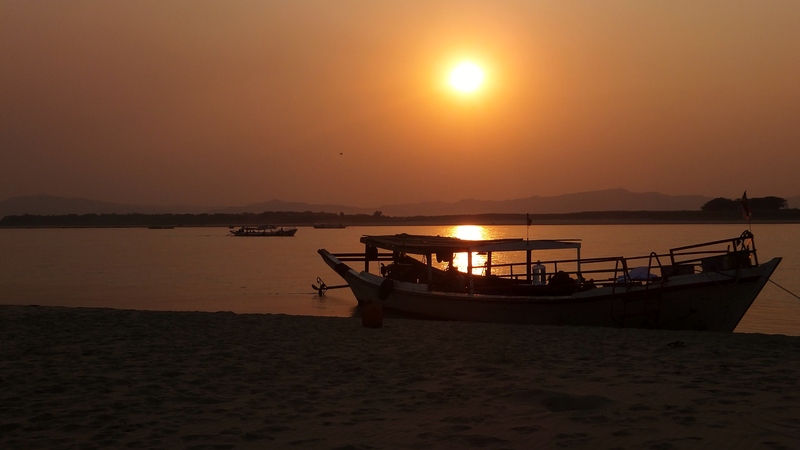 It is also the boat dock for river boats, so one could also enjoy time on the river. 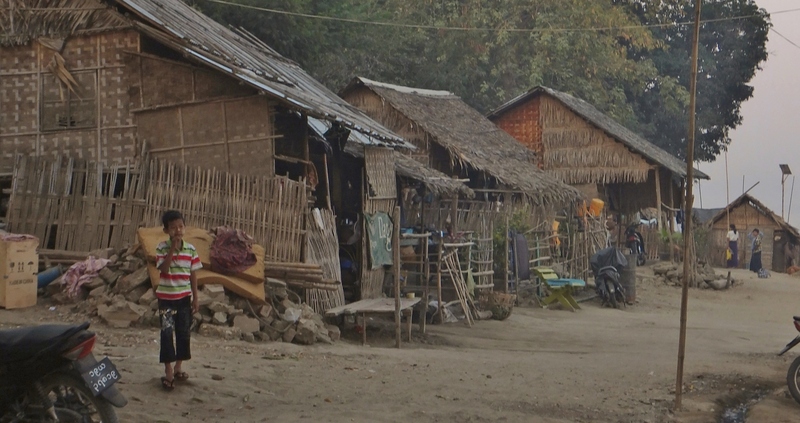 There was a local village along the shore just below our hotel. I walked down there to check it out and was amazed at what I saw. The houses were of bamboo and looked like they would blow away in a strong wind. 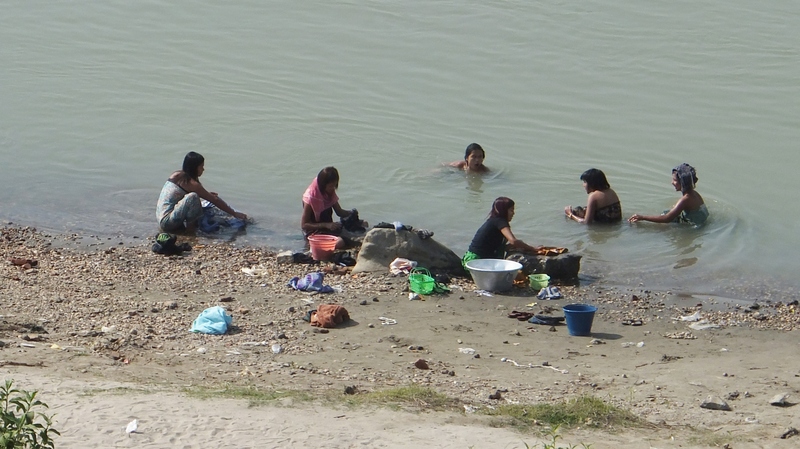 Women were bathing in the river alongside boats which were unloading cargo. Saturday there was a Novice Initiation for Children into the Monastery. All children in this Buddhist country must spend a week with the monks learning about Buddhism They are very young, 5 – 8 years old. Our guide Win had indicated that, as this was a community celebration, we were all invited to attend. It began Friday night with a big party with loud music and dancing. Good thing my hotel room was on the opposite side of the hotel. Some fellow travellers got very little sleep. Saturday morning, the entire village was up at 6:00AM or perhaps they never went to bed. They gathered at the monastery in their finest clothes to walk in the procession. 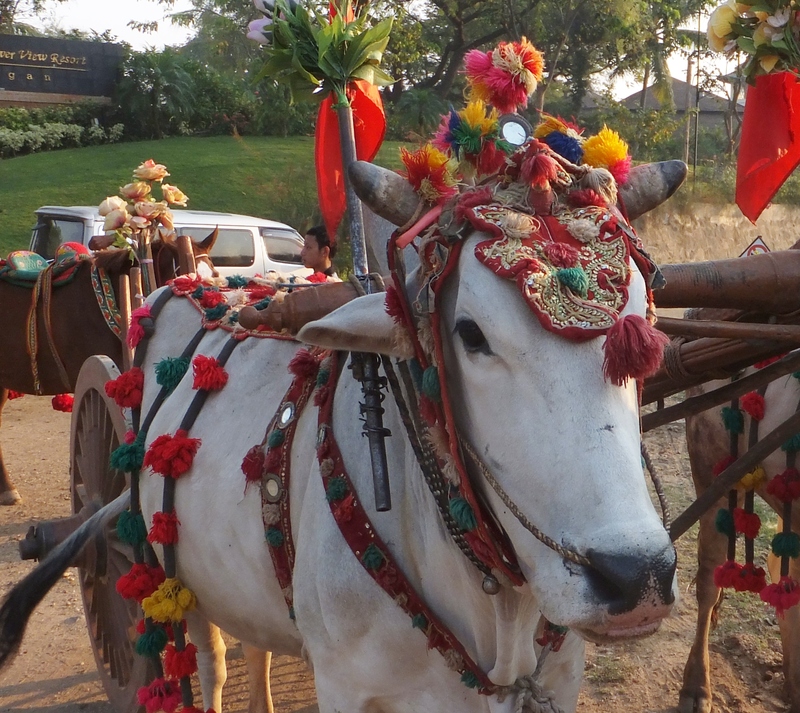 Horses, Oxen and carts were decorated. 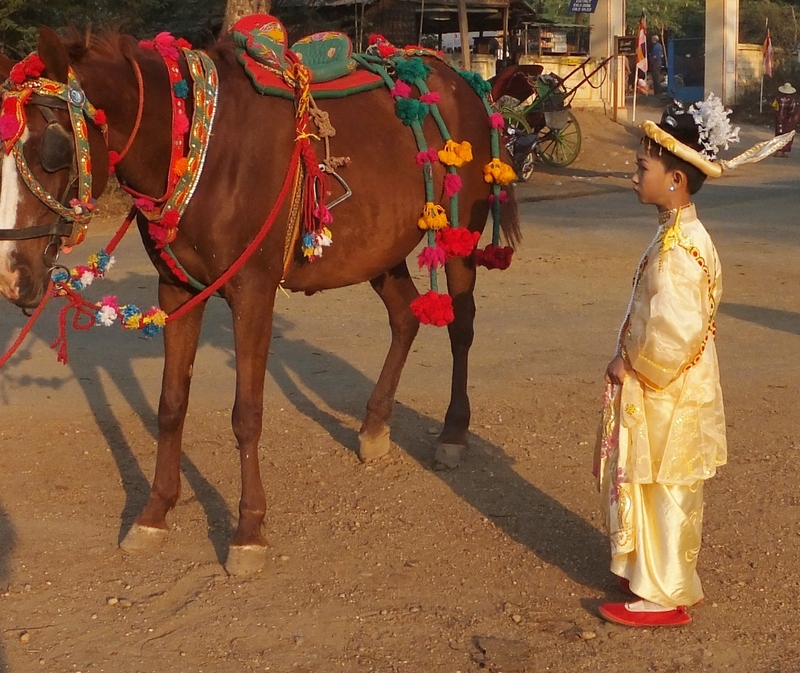 The novitiates all rode horses which are led in the procession by a local man or boy. This parade through the villages can take several hours. The morning activities finished with a big lunch and the Head Shaving Ceremony began at 3:00PM. The monks shave the boys heads, while a local village woman shaved the girls. After the ritual bath and robing, the children departed with the monks and everyone else packs up and goes home. This celebration can cost $5000 and so usually several families get together and split the costs. 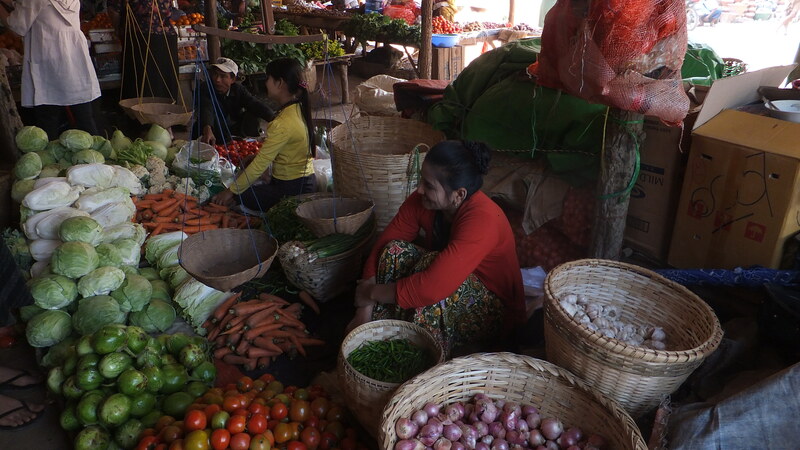 Saturday is a big market, so after the parade moved on, we headed into New Bagan to check it out. What can I say…..it is a fabulous place where you are able to buy anything from clothing and shoes to fresh produce, fish, meat and flowers.While there we encountered another Novice Initiation Parade. This one even had an elephant. Just like a Chinese Dragon! I did not buy much in the market as I had already met ThanThet a local woman who was selling clothing to the tourists. She had pushed the clothes through the bus window at our first stop and told me to try things on. She would meet me later to barter a price and/or exchange for Larger! 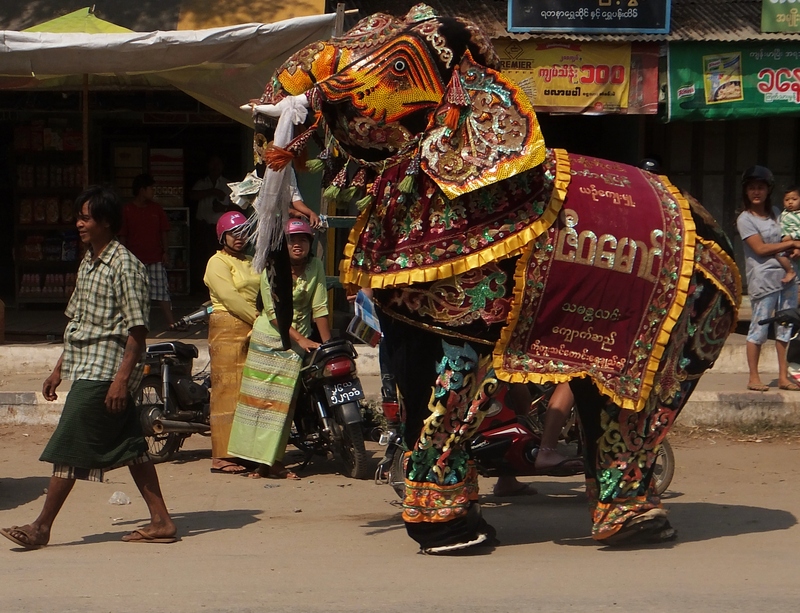 sizes…westerners have so much more padding than the Burmese. Sellers are not allowed onto Hotel property, so I would go down to the gate to meet her. My tour group wondering what is going on? 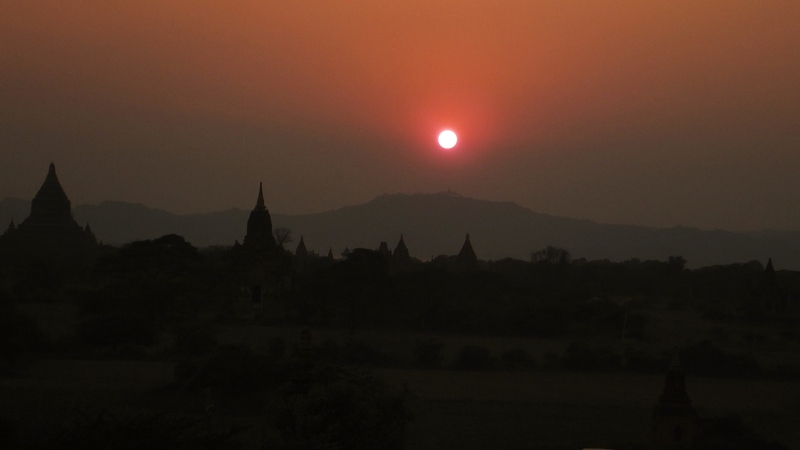 When in Bagan, one must not miss sunset over the plain. So after a Pony Cart ride to the temple and climbing steep steps to one of 5 platforms, each one higher and with narrower steps, we were treated to a spectacular, natural light show. The colors are amazing. The sky goes from pink to purple to orange….then the sun is gone and it is dark! Slowly everyone makes their way back down the steep steps. Another day is over……but the memories will last a lifetime. 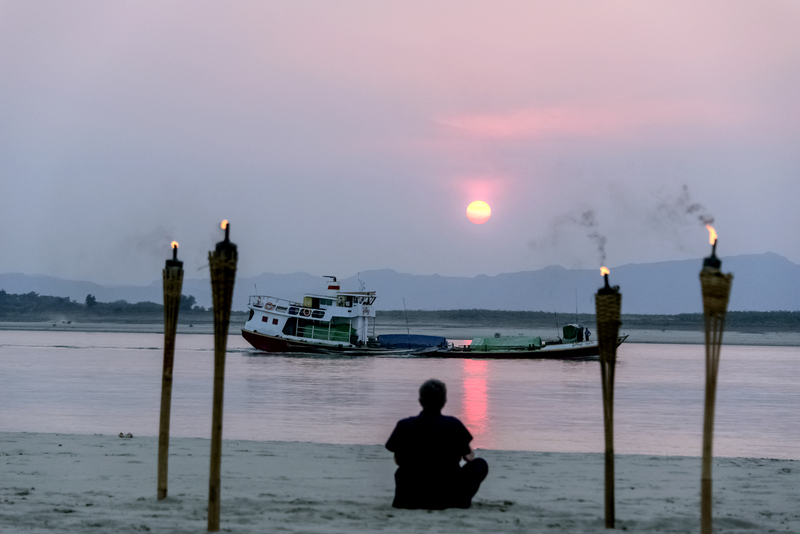 I left my heart in that small corner of Burma. 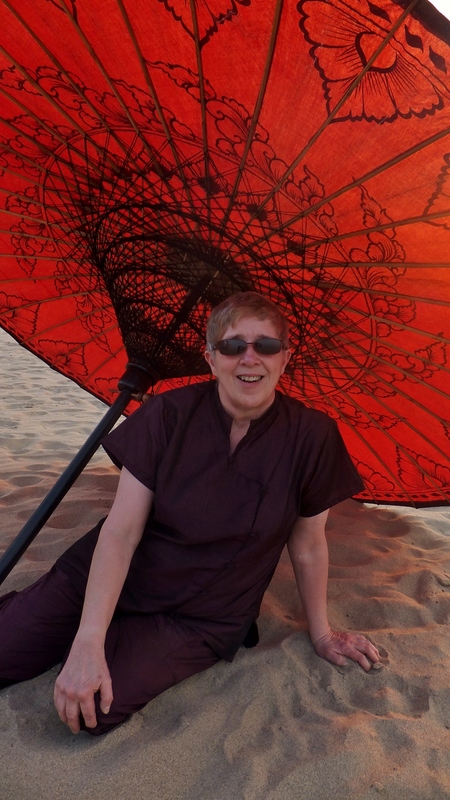 I hope one day to return and perhaps have more longyis made by my Personal DressMaker…ThanThet! And the sun goes down in the Magical Kingdom! 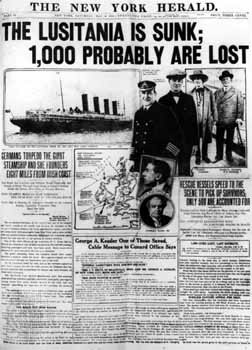 I should have known things wouldn’t be any different, even back in the 1700’s, given that my grandparents up and relocated to Canada from Leicestershire, England in 1913. People have always migrated, generally either to escape their current situation or to find better opportunities elsewhere. My grandparents were no different, and in their 40’s with a 9 year old son, they migrated to Canada looking for a better life. I attended the Exodus: Movement of the People Conference in Hinckley, LEI in September 2013 sponsored by the Halsted Trust. I heard speakers talk about all types of “Migration”. Some folks moved down the road from village to village or village to city, while others moved from halfway around the world. This got me to thinking….my ancestors were all Midland people from Leicestershire, Warwickshire and Staffordshire or so I thought. Had any of them moved on to other areas of England, even to other countries? One day while I was looking at Non-Conformist Church Records, I decided to do a general name search for one of my lines, the Mason’s of Warwickshire. I knew that in the late 1700 their children had been baptized at the Independent Chapel in Stretton under Fosse, WAR. Along with all the records I expected to find, up pops a Mason in London. Now this wasn’t a surprise, as Mason is a very common surname. What was a surprise was the name Spencer Mason, a less common christian name. In 1745, John Mason had married an Ann Spencer in Withybrook, WAR. The Spencer name was then used as a christian name in subsequent generations. I knew that John and Ann had a child they christened Spencer. Could this be the same Spencer Mason, who with his wife Martha, was having his children christened in London in the late 1700’s at St. Luke’s. I began my search and soon discovered that my Spencer Mason had been baptised in Withybrook at the Parish Church November 5, 1750. In the transcription on Ancestry, they had not been able to read the Christian name and wrote “Sp???? son of John and Ann Mason. When I checked the original record, I could clearly see the name was Spencer. So I confirmed a Spencer born in Withybrook who was my ancestor. The Baptism Records 0f St. Luke’s Church on Old Street, London showed Martha as Spencer’s wife. Further checking and I located a Marriage Record in Warwickshire for Spencer Mason of the Parish of St. Luke’s Old Street, London and Martha Compton of the Parish of Withybrook. They were married by License on March 6, 1776 at the Withybrook Parish Church. Martha had been baptised in Withybrook on 28 Jan 1755, the daughter of John and Martha Compton. It looks as if Spencer was already living in London but returned home to marry Martha. 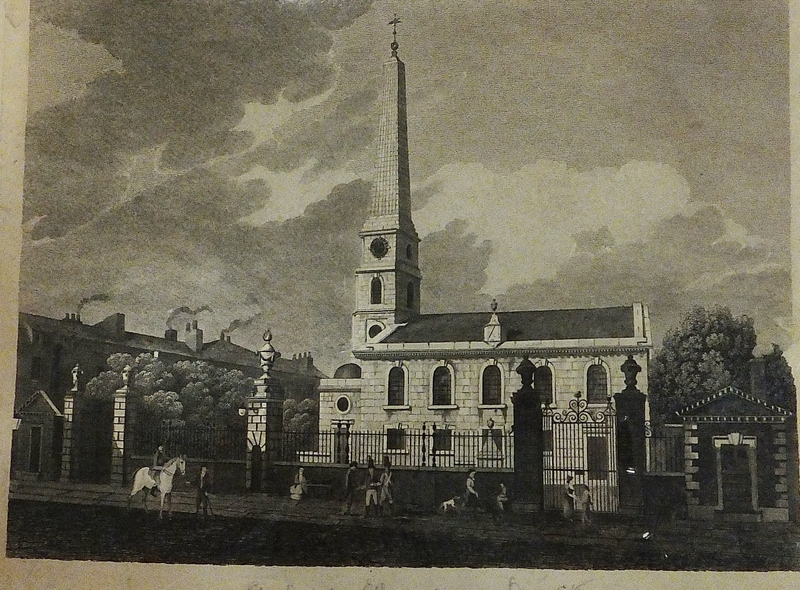 They then returned to London to live, as their first child is christened at St. Luke’s, Jun 15, 1777. Spencer Mason also turns up on the London Tax Records for 1780 as a tenant in the house of Joseph Foster Pryor in St. Luke, Old Street, Borough of Islington. He appears in these records until 1802, although the proprietor is now listed as John Martin. 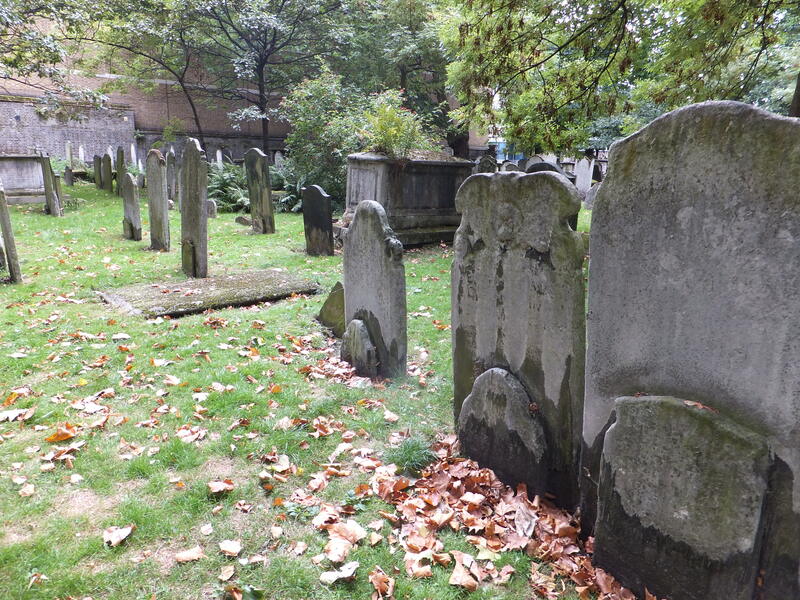 Spencer’s burial is listed in the Bunhill Fields Burial Grounds on City Road (Non-Conformist Records Bunhill BG 1800-1803) on December 16, 1802. 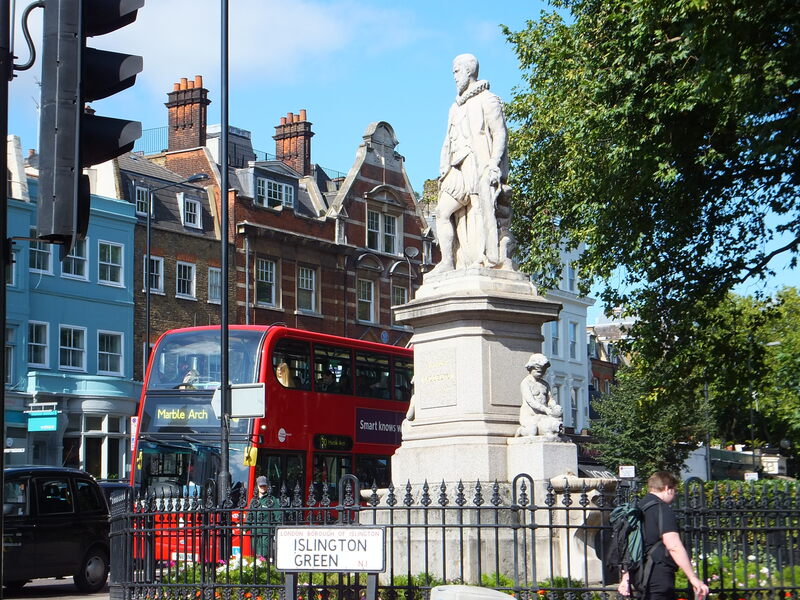 His Will lists his address as Old Street Square. 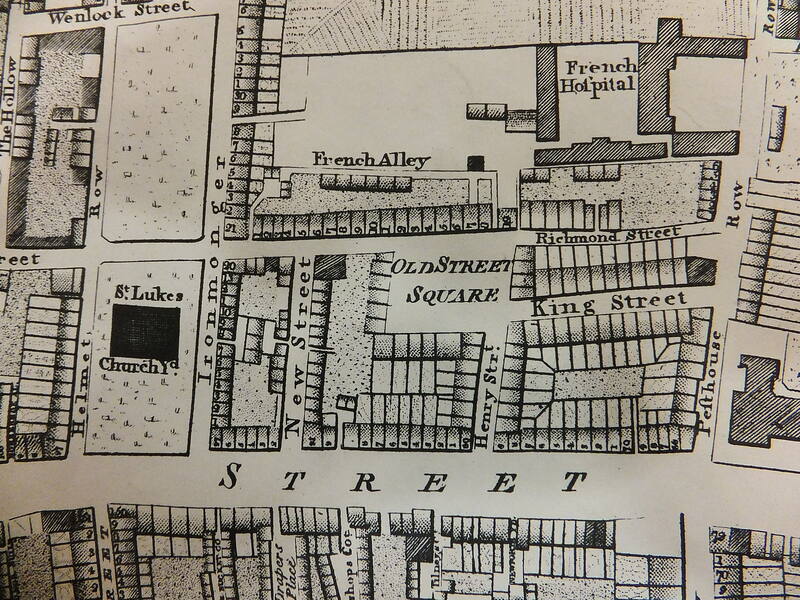 Old Street showing St. Luke’s Church and Old Street Square where Spencer and his family lived until his death in 1802. Old Street area showing the Bunhill Fields Burying Grounds where Spencer Mason was buried in 1802. I located a will for Spencer Mason and at the same time found one for his youngest son, Daniel Spencer Mason. It was this one that intrigued me as the heading was “Daniel Spencer Mason: A Gentleman of Islington”. Daniel would have been only 9 years old when his father died. How did he come to be called “A Gentleman”. A new investigation began. To a degree, gentleman came to signify a man with an income derived from property, a legacy or some other source, and was thus independently wealthy and did not need to work. The term was particularly used of those who could not claim any other title even the rank of esquire. Records of Admissions indicate that Daniel Spencer Mason was admitted to St. Paul’s School London on October 23, 1804. He was age 11 and it was noted that he was the son of the Late Spencer Mason, Baker of Old Street Square. St Paul’s was founded in 1509, at the height of the Renaissance in England. It may be that its founder Dean John Colet of St Paul’s Cathedral intended his friend Erasmus to be the first High Commissioner, though the plan never came to fruition. Colet made The Mercer’s Company trustees to the School, rather than the Church or Oxford or Cambridge, because he found less corruption among married men of business. Originally situated by St Paul’s Cathedral, the school moved four times before occupying its present, riverside site in 1968. It survived the Plague, the Great Fire and the Civil War and in 1870 was one of only two day schools included by the Clarendon Commission as one of the the “Nine Great Public Schools of England”. ……Daniel Spencer Mason, aged 11, son of the late Spencer M., baker, Old Street . Entered the Legacy Department, Somerset House ; died about 1879.
master, of Broad Street, St. James’s. Charles George Dixon, aged 9, son of George D., of St. I kept searching and found mention of Daniel Spencer Mason in Electoral Registers, The London Gazette, The Law Advertiser and the Records of the Sun Fire Office. 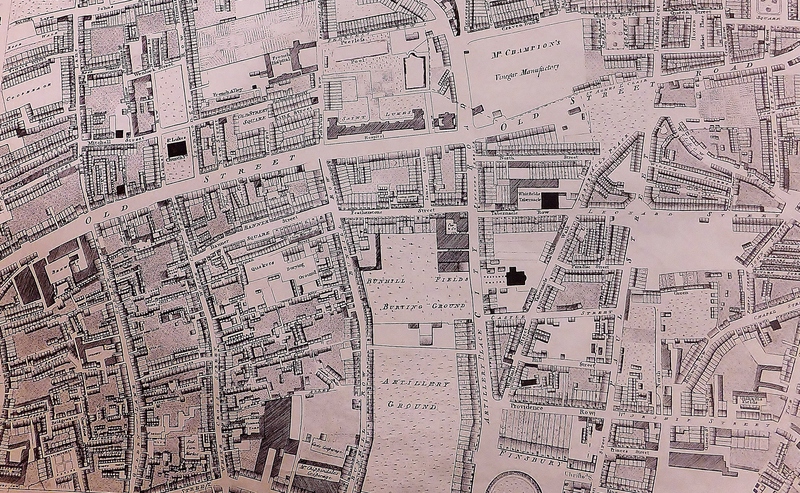 1832 Shoreditch, Ward St. Leonard, Shoreditch Borough of Tower Hamlets. 1837 ,by, mutual consent—Dated this 27th day of June 1837. Partnership was dissolved May 1, 1824. Daniel died 1846. Age 53. Record indicates on 25th July his body was brought to the Bunhill Field Burial Ground from New Norfolk Street, Islington. 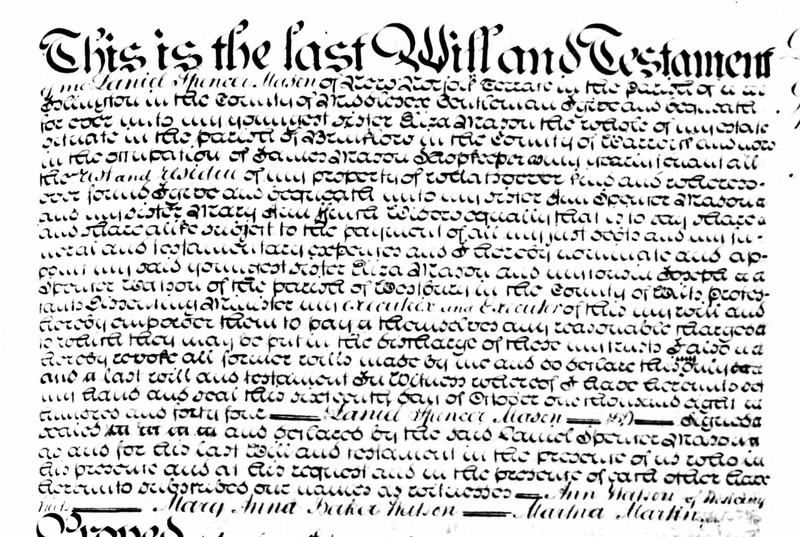 His will is Dated Aug 1, 1846. He leaves his estate in Brinklow, Warwickshire to his youngest sister Eliza and the rest of his estate to be divided between his sisters Ann Spencer Mason and Mary Ann Mason Finch, widow. On the 1851 Census, Mary Ann is head of the household at age 60, Ann is 72 and Eliza 56. 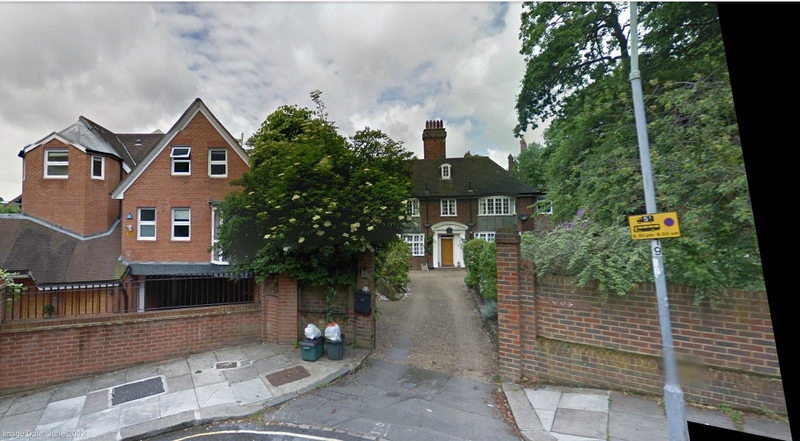 They are all listed as Fund Holders ( A Fund holder is someone who does not have land but has funds in government bonds, then known as consols or consolidated annuities) and are living at 19 Brudenall Place in the Parish of Shoreditch. 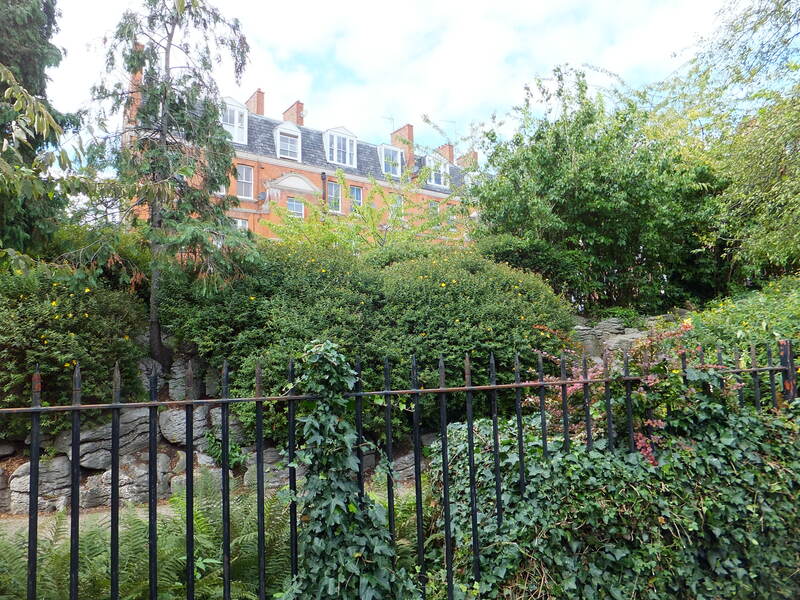 On the 1841 census the sisters were living in Islington at New Norfolk Terrace. Daniel Spencer may have been in Warwickshire visiting as there is a Spencer Mason listed as a visitor at the farm of John Mason in Withybrook. In 1846, it is the New Norfolk Terrace house from which Daniel’s body is removed. 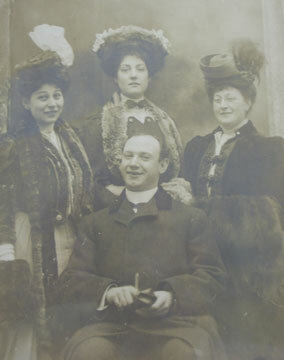 Here we have a glimpse of the Spencer Family who left Warwickshire to seek their fortune elsewhere. I found this all very interesting as when I made trips to London in recent years, I stayed at Rosebery Hall in Islington. I walked many of these streets, little knowing that 200 plus years ago, my ancestors had made their home in this area. 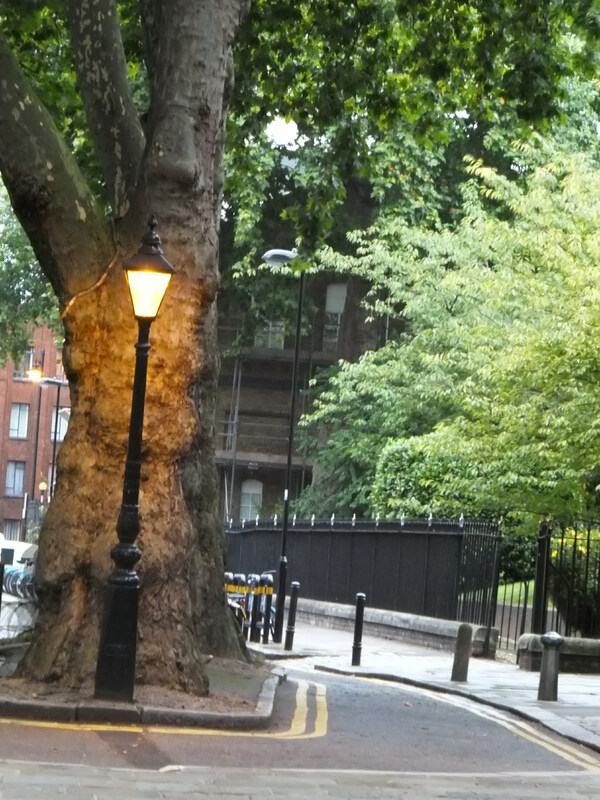 An area in Islington today which remains much the same as when the Spencer’s lived here.